contact rivettedleather@gmail.com for any other questions. thank you! Most items are 'Made To Order' meaning they are made after you place your order - this means it may take up to 1-2 weeks before they are shipped. When purchasing a ‘Made To Order’ item there may be slight differences between the images shown and the item, because each one is handmade, it is also unique. All orders are shipped USPS Priority Mail, 2-3 day shipping. We do ship internationally. All sales are final, no returns or refunds will be issued. Exchanges may be made within 30 days of purchase for items that are the wrong size. You are responsible for return shipping costs. To help perpetuate a culture of sustainability, I like to buy less, own less, take care of, and repair the items I own. This means the items I do own are dearly beloved, and often well worn. I offer lifetime repairs on any handmade items at Rivetted Leather, to help others who support this lifestyle and my designs. If your item becomes worn and needs repair, I am happy to reattach buckles, punch new belt holes, replace rivets, or patch it up and make alterations as necessary. For certain larger repairs I may have to charge a small fee to cover my labor time. I don’t have the ability to fix everything, but I will do what I can. Contact me at rivettedleather@gmail.com if you are interested in repairs. Measure chest across the bust. Measure waist at narrowest point. Measure hips where you would wear a belt. Some designs may ask for a measurement that is elsewhere than these ones listed here. If you do not own a fabric measuring tape, you can use a piece of string or similar, wrap it around the body part indicated, and then measure that string length with a regular flat ruler or tape measure. Chest 30"-32" // Waist 23"-25" // Hips 32"-34"
Chest 33"-35" // Waist 26"-28" // Hips 35"-37"
Chest 36"-38" // Waist 29"-31" // Hips 38"-40"
Chest 39"-41" // Waist 32"-34" // Hips 41"-43"
Chest 42"-44" // Waist 35"-37" // Hips 44"-46"
Every piece is handmade, by me, Sequoia Cervantes. I make an effort to choose the best quality hides I can, that use black aniline dyes to penetrate the leather fully, leave no dye stains behind, and don’t fade over time. (In fact with a little leather conditioner or polish they can become even darker over time.) 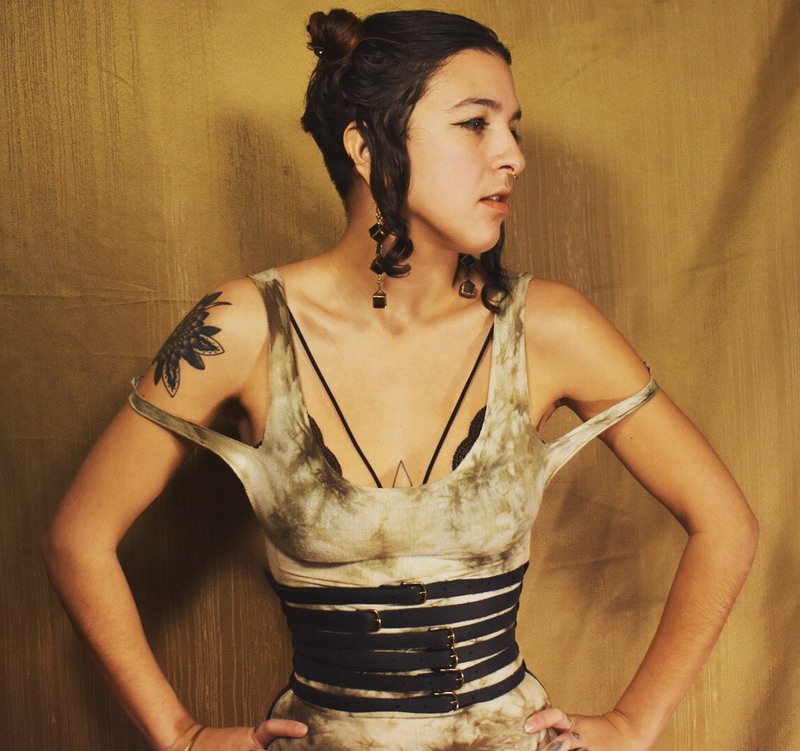 Currently I am only using american bison and cowhide sourced from the USA which would otherwise have been deemed industrial waste from the meat industry. The hardware used is all solid brass, and the rivets are stainless steel with antiqued brass plating that doesn’t scuff over many years of use. Thank you for supporting my work, and my art.